Professor Marinello believes that it is an incomparable privilege to teach and lead a classroom full of Christian brothers and sisters who come to Tyndale from around the world in order to deepen their knowledge of God as well as His work in the history of His Church. His areas of research include ecclesiology, early Church history, and the history of the Christian Brethren. Dickson, Neil T. R., and T. J. Marinello, eds. Bible and Theology in the Brethren . Studies in Brethren History. Glasgow: BAHN, 2018. Marinello, T. J., and H. H. Drake Williams III, eds. "Blessed are the Peacemakers," but How Does a Christian Make and Preserve Peace? Peacemaking in Nigeria and Rwanda.. Tyndale Theological Seminary Theses Series. Badhoevedorp: Tyndale NL Press, 2018. Dickson, Neil T. R., and T. J. Marinello, eds. Brethren and Mission: Essays in Honour of Timothy C. F. Stunt. Studies in Brethren History. Troon, UK: BAHN, 2016. Dickson, Neil T. R., and T. J. Marinello, eds. Culture, Spirituality, and the Brethren . Studies in Brethren History. Troon, UK: BAHN 2014. Marinello, Thomas J. New Brethren in Flanders: A History of the Origins and Development of the Evangelische Christengemeenten Vlaanderen, 1971-2008. Eugene, OR: Pickwick Publications, 2013. Marinello, Thomas J., and H.H. Drake Williams III, ed. Not Weary of Well Doing: Essays in Honor of Cecil W. Stalnaker. Eugene, OR: Wipf & Stock, 2013. Marinello, Thomas J., and H.H. Drake Williams III, ed. My Brother's Keeper: Essays in Honor of Ellis R. Brotzman. Eugene, OR: Wipf & Stock, 2010. Marinello, T. J. "Use of the Bible among the New Brethren in Flanders." In Bible and Theology in the Brethren. Edited by Neil T. R. Dickson and T. J. Marinello, 145-54. Glasgow: BAHN, 2018. Marinello, T. J., "Series Forward" and "Preface." In "Blessed are the Peacemakers," but How Does a Christian Make and Preserve Peace? Peacemaking in Nigeria and Rwanda. Edited by T. J. Marinello and H. H. Drake Williams III, ix, xiii-xiv. Tyndale Theological Seminary Theses Series. Badhoevedorp: Tyndale NL Press, 2018. Marinello, T. J. "'Committed to the Fellowship.'" In Reflections from the Emmaus Road: Essays in Honor of Jack Fish, David Glock, and David MacLeod. Edited by Frank Jabini, Raju Kunjummen, and Mark R. Stevenson, 184-200. Dubuque, IA: Emmaus Press, 2018. Marinello, T. J. “The Evangelische Christengemeenten Vlaanderen: New Brethren in Flanders at the end of the Twentieth Century.” In Brethren and Mission: Essays in Honour of Timothy C. F. Stunt. Studies in Brethren History. Edited by Neil T. R. Dickson and T. J. Marinello, 137-62. Troon, UK: BAHN, 2016. Marinello, T. J. “‘Evangelical Historiography:’ May a historian legitimately look for God’s hand in Church history?” European Journal of Theology 24.1 (Apr. 2015): 42-48. Marinello, T. J. “The Founding of the Brethren in Flanders.” In Culture, Spirituality, and the Brethren. Edited by Neil T. R. Dickson and T. J. Marinello, 127–38. Troon, UK: BAHN, 2014. Marinello, T. J. “Small, Struggling Churches in Europe: Do they have a future?” European Journal of Theology 23.2 (Oct. 2014): 150-60. Marinello, Thomas J. “Development of the Evangelische Christengemeenten Vlaanderen: Its Characterization, Rapid Growth, and Relationship with the Flemish Roman Catholic Church.” In Not Weary of Well Doing: Essays in Honor of Cecil W. Stalnaker. Edited by Thomas J. Marinello and H. H. Drake Williams III, 124–47. Eugene, OR: Wipf & Stock, 2013. Marinello, Thomas J. “The Lord’s Supper in Brethren Ecclesiology: The Mark of Identity, Unity, and for Some, Purity.” In My Brother’s Keeper: Essays in Honor of Ellis R. Brotzman. Edited by Thomas J. Marinello and H. H. Drake Williams III, 122–39. Eugene, OR: Wipf & Stock, 2010. Marinello, Thomas J. “Terugkijken, Vooruitzien” Vertaling door Christa Neefjes. Bode, November 2003: 12-13. “500th Anniversary of Martin Luther’s Hammer-blow on the Wittenberg Door” Workshop Speaker: Conference Title – “European Christian Workers Conference 2017” Ternélia Le Pré du Lac Saint Jorioz, France 19–25 August 2017. “New Brethren in Flanders: Changing Views of Its Identity” Workshop Speaker: Conference Title – “The Brethren and the Church” 8th International Brethren History Conference Maynooth University, Ireland 3–5 July 2017. “How Did We get Here? A Survey of Church History” Plenary Speaker: Conference Title – “Beyond the Horizon:” Academic and Practical Conference for Church Leaders COMPAS – Center for Leadership Development Ochaby, Poland 19 March 2016. 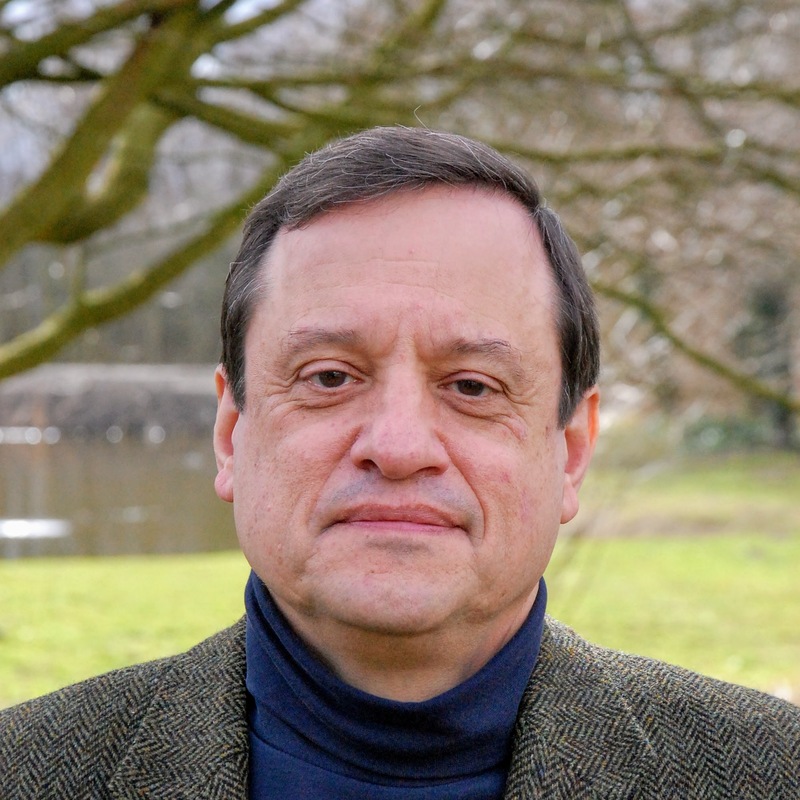 “The Use of the Bible Among the Brethren in Flanders” Workshop Speaker: Conference Title – “The Brethren and the Bible” 7th International Brethren History Conference Bishop Woodford House, Ely, UK 6–8 July 2015. “Backgrounds to the Crisis of Christianity in the Middle East” Workshop Speaker: Conference Title – “European Christian Workers Conference 2014” Domaine Lyon Saint Joseph Lyon, France 16–22 August 2014. “Ontwikkeling van de Evangelische Christengemeenten Vlaanderen: kenmerken, snelle groei en stabilisering” Plenary Speaker: Studiedag Titel – Weg van Rome, op weg naar...? Over de ontwikkeling en eigenheid van de Vlaamse Evangelische Beweging Evangelische Theologische Faculteit Leuven, Belgium 5 May 2012. “The Evangelische Christengemeenten Vlaanderen: New Brethren In Flanders at the End of the Twentieth Century”, 5th International Brethren History Conference, Lindors Country House Hotel, Wye Valley, St. Briavels, Lydney, UK, 25-27 June 2011. “Founding of the Brethren in Flanders”, 3rd International Brethren History Conference, Liverpool-Hope University, Liverpool, UK. 5-7 July 2007. Paas, Steven. Christianity in Eurafrica: A History of the Church in Europe and Africa. Wellington, South Africa: Christian Literature Fund, 2016. [Washington, DC: New Academia Publishing, 2017} Journal of Global Christianity 4.1 (February 2018): 94-95. Gribben, Crawford. John Owen and English Puritanism: Experiences of Defeat. Oxford Studies in Historical Theology. New York: Oxford UP, 2016. European Journal of Theology 26.1 (2017): 75–77. Aubert, Annette G. The German Roots of Nineteenth-Century American Theology. Oxford: Oxford UP, 2013. Trinity Journal 37 NS, no. 1 (Spring 2016): 135–37. McDermott, Gerald R., and Harold A. Netland, eds. A Trinitarian Theology of Religions: An Evangelical Proposal. Oxford: Oxford UP, 2014. Trinity Journal 37 NS, no. 1 (Spring 2016): 137–39. Stunt, Timothy C. F. The Elusive Quest of the Spiritual Malcontent: Some Early Nineteenth-Century Ecclesiastical Mavericks. Wipf and Stock, Eugene, OR, 2015. St. Mark’s Review 235 (May 2016): 125–27. Grass, Tim, ed. Witness in Many Lands: Leadership and Outreach Among the Brethren. Troon, UK: BAHN, 2013. Brethren Historical Review 9 (2013): 69-72. Drobner, Hubertus R. The Fathers of the Church: A Comprehensive Introduction. Translated by Siegfried S. Schatzmann, Peabody, MA: Hendrickson, 2007. Emmaus Journal16.2 (Winter 2007): 251–52. Levy, Ian Christopher. A Companion to John Wyclif: Late Medieval Theologian. Leiden: Brill, 2006. Emmaus JOurnal 16.1 (Summer 2007): 105-107. Williams, Ritva H. Stewards, Prophets, Keepers of the Word: Leadership in the Early Church. Peabody, MA: Hendrickson, 2006. Emmaus Journal 16.1 (Summer 2007): 119. Zdero, Rad. The Global House Church Movement. Pasadena: William Carey Library, 2004. Emmaus Journal 16.1 (Summer 2007): 103-104. Fish, John H. III, ed. Understanding the Trinity. Dubuque: ECS Ministries, 2006. Emmaus Journal 15.1 (Summer): 127-29. Ware, James. The Mission of the Church in Paul’s Letter to the Philippians in the Context of Ancient Judaism. Leiden: Brill, 2005. Emmaus Journal 15.1 (Summer 2006): 136-39. Moreschini, Claudio, and Enrico Norelli. Early Christian Greek and Latin Literature: A Literary History. 2 vols. Translated by Matthew J. O’Connell. Peabody, MA: Hendrickson, 2005. Emmaus Journal14.2 (Winter 2005): 285–86. “Review Essay of Resources for the Western Reader on the Orthodox Churches." Emmaus Journal 14.2 (Winter 2005): 285-86. Fairbairn, Donald. Eastern Orthodoxy Through Western Eyes. London: Westminster John Knox Press, 2002. Clendenin, Daniel B., ed. Eastern Orthodox Theology: A Contemporary Reader, 2nd ed. Grand Rapids: Baker, 2003. __________. Eastern Orthodox Christianity: A Western Perspective, 2nd ed. Grand Rapids: Baker, 2003. Ware, Timothy. The Orthodox Church, 2nd edition. New York: Penguin Books, 1993. Madden, Thomas F. The New Concise History of the Crusades. New York: Rowman & Littlefield, 2005. Emmaus Journal 14.1 (Summer 2005): 115-16. __________, ed. Crusades: The Illustrated History. Ann Arbor: University of Michigan Press, 2004. Emmaus Journal 14.1 (Summer 2005): 117-18. Hall, David W., Savior or Servant? Putting Government in its Place. Oak Ridge, TN: Kuyper Institute, 1996. Journal of the Evangelical Theolological Society 41.4 (Dec 1998): 673-74. Sales, Rosemary. Women Divided: Gender, Religion, and Politics in Northern Ireland. New York: Routledge, 1997. Church History 67.4 (Dec 1998): 803. Murray, Iain H. Revival and Revivalism: The Making and Marring of American Evangelicalism 1750-1858. Carlisle: Banner of Truth Trust, 1994. Emmaus Journal 6.2 (Winter 1997): 260-63. Hall, David W., Welfare Reformed. Phillipsburg, NJ: Presbyterian & Reformed, 1994. Emmaus Journal 3.1 (Winter 1994): 98-100.